The media tells us we are on the brink of a historic point in our immigration policies. Dozens of Republicans are working feverishly to concoct a bill, replete with many amendments that will reform a policy that is nearly as cumbersome and as ineffective as our tax code. 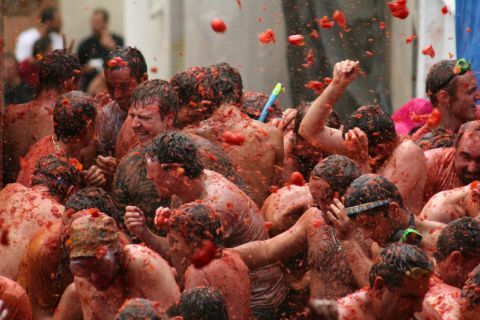 Don’t you just love it when bromides, such as change and reform are tossed around like the food in Animal House? These words ar to e often used interchangeable, which to me is just another open conspiracy, designed to pull more wool over the eyes of the average American citizen, who cares little for the fine print of politics. What they really mean is that things are going to change drastically or in the case of immigration reform they are going to remain exactly the same. Nothing is ever reformed to any real degree in politics. Rush Limbaugh opened millions of eyes in a recent program when he pulled the covers off another lie our government has told us. Most Republicans want our immigration policies the way they are. Most American businessmen want cheap labor, even though it makes a mockery of American law. The unions have been perplexed by this because cheap foreign labor is no good for their high wages. But now they are on board because Obama and his cronies because they have been told that 70-80% of these illegals will vote Democrat and that will be oh so good for them. Since they don’t want to upset their federal meal ticket, those union workers, who still have jobs throw their support behind something called amnesty. In real English amnesty means that whatever immigration laws someone has broken, they can jump to the head of the line–ahead of those who have followed the rules and obeyed the country’s laws. What does that tell you about our equal protection laws? This administration has made it a rule to enforce ONLY those laws that help the Democratic agenda and reward those who have bellied up to the campaign donation bar so that the Democrats can maintain their power and control over the rest of us. No administration has been more flagrant in its abuse of power than the Obama administration. It is the Chicago school of corruption that now rules America. 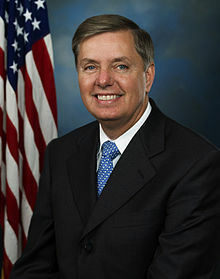 Republicans like the charismatic Marco Rubio, the chameleon Lindsey Graham, who chastises the isolationists in his own party and even the dutiful Paul Ryan reflect not the tradition of our American heritage but the progressivism of the Republican Roosevelt. As I have written before, it was Teddy Roosevelt and his patrician-oriented liberalism that had infiltrated the Republican Party around the turn of the century with its chimerical sense of reform, entitlement and duty. According to Limbaugh enough border security laws are already on the books. They just never get enforced. So do not be surprised when after all the Republican cheering, back-slapping and high-fiving is over that nothing will have changed. In 1986 when there were just three million illegals, not the 11-15 million on the table now, Senator Teddy Kennedy promised that if the Republicans granted amnesty to them, the problem would be solved forever. I never can understand why these Republican Charlie Browns continue to believe their Democratic Lucys and attempt to kick the ball. The Democrats pull the ball away each and every time. There will be no cause for celebration. So cork the champagne bottle, the borders will not be any more secure than they are today. There still will be violent assaults on the citizens of Arizona, New Mexico and California. And while I am on immigration, how about the Catholic Church’s role in this? According to Donald Kerwin in the Catholic Legal Immigration Network Cardinal Roger Mahony electrified the US immigration reform debate by announcing on March 1, 2006 (Ash Wednesday), that he would instruct archdiocesan priests and lay Catholics to ignore provisions in a House-passed ‘enforcement only’ bill (H.R. 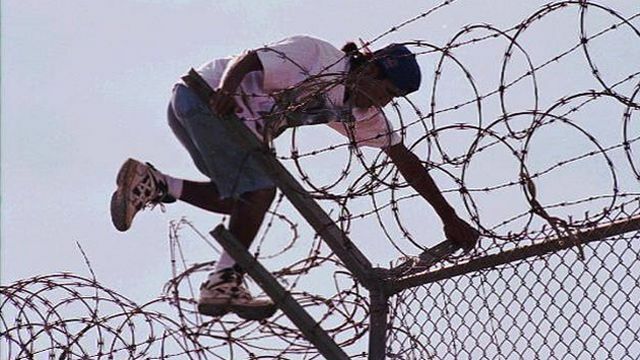 4437) — were they to pass — that would make it a crime to assist unauthorized immigrants. Since then, the Catholic Church has played a central role in the immigrant-led protests that have swept the country. In many localities the church has encouraged parishioners to participate in the protests, offered bishops and priests as speakers, and served as an interlocutor for its newcomer members before Congress and in other public forums. It has only been Amnesty Internal’s support of abortion rights that has had the church cancel its support for this extremist organization. But according to Kerwin, the Catholic Church in the United States does not support open borders, illegal immigration, or an ‘amnesty’ that would grant legal status to all unauthorized immigrants. It believes nations have a legitimate responsibility to promote the common good by denying admission to certain migrants and by regulating the flow of all those who are seeking to enter. I am not certain that is what the majority of Catholic priests are preaching. Sure I agree that their has to be reform of a broken and ineffective system but that will happen when everyone is on the same page. For some internal reason i can only speculate about, the Democratic Party does not seem to want to change things for the public benefit. And lets face it, there never will be any moral reform of immigration unless the Mexican government complies. I doubt if that will ever happen. They are always looking for the political wedge that they can drive through the heart of all opposition to their never-ending quest for power. Unfortunately the millions of suffering illegals are mere footballs in the hands of their Lucys. The longer I watch and listen to all the debates, explanations and volumes of information that have been tossed around on the radio and TV new shows about the Obama scandals, I am convinced that the United States has become ungovernable. By that I mean that our system of democracy has run into irrepressible forces that have derailed it from its governing framework. The evolution of this power shift goes back to the Roosevelt Republican, who initiated the shift to the left within his Republican Party. It was accelerated during the eight years the Clinton administration when virtually all due respect for the Constitution evaporated. During the low-minded days when President Bill was caught, not just with his zipper down but spilling his seed on Monica’s blue dress, the country, protected by a defensive mainstream press, basically looked the other way. As a result Clinton survived the turmoil to lead the country farther astray for the final years of his reign. He was a power-clinger, unlike any other president in history–until now! The only political figures their league, were the country’s second vice-president, Aaron Burr, who would have sold the country out to save his political power and Edmund Stanton whose relationship with President Andrew Johnson led to the latter’s impeachment and almost removal from office. 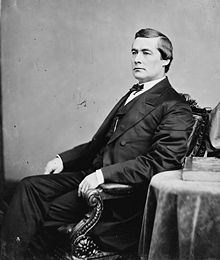 Only the courage of a Kansas senator, Edmund Ross, who cast the decive vote against impeachment whom John Kennedy included in his award-winning book, Profiles in Courage, saved the first Johnson from being removed from office. Like Burr and Stanton, who had to be literally removed from his office as the Secretary of War, Clinton, in an act of sheer unrepentant bravado refused to take the honorable road Richard Nixon had taken in 1974 and resign. No, Clinton made the country suffer through two Congressional trials, where he was impeached like Johnson but not convicted. The main difference was that Johnson had been guilty of no wrong and Clinton had lied under oath. Maintaining his power is the only mantra that rang true for Clinton then and in today’s circus atmosphere in D. C.,…especially if one is a Democrat. President Obama seems to have inherited the stain of Clinton. He is facing revelations of at least three full-blown abuses of executive power that threaten our democratic form of government. By all systems of ethics and morality his Attorney-General Eric Holder should be past history. During his four and half years at the helm of the Justice Department Holder has made a mockery of the rule of law and the equal protection clause. I merely need to mention the Black Panthers and Fast and Furious to give two reasons why he should have already resigned. The wiretapping of the AP offices, and the persecution of an entire News network, the Fox News Channel is beyond the pale of the Democrats’ dirty tricks. His verbal gymnastics, with regard to James Rosen, by all standards constituted at worst –perjury and at best a misleading of the court system and the United States Congress. If we were still a nation of laws, criminal charges would now be pending against this man who has repeatedly smeared his office, the Obama presidency (as if that were possible) and the United States government. If the Republicans can force his resignation, you can count on his reappearance in some other sensitive government like Susan Rice. Ms. Rice was forced out of her United Nations position and was recently named as the head of Obama’s National Security team. This was the woman who misdirected the world for well over two weeks after our Libyan embassy was attacked on 9/11 of last year and our ambassador and three cohorts assassinated. 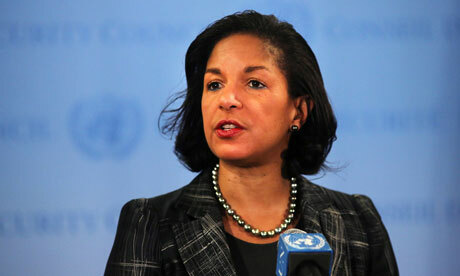 Rice was a key player in the cover-up that played out thousands of miles away in Benghazi. She not only protected her president but also the presidential future of Hilary Clinton, whose cowardly and imperious avoidance of any responsibility for the attack defiantly ripped the scab off five years of Obama malfeasance and corrupt practices. What does it matter she screamed rhetorically at her Republican inquisitors! To millions of true Americans and the families of the four dead American government workers, including two military men, it matters a great deal. To liberals who use human beings like so much tissue paper, apparently not much at all. Benghazi is comparable to Watergate…except that nobody died in Watergate. People went to jail over a third-rate burglary. Someone should be fired or maybe even in jail for this! And why did the Watergate perpetrators, like Chuck Colson, serve time ? Because they put personal power over country. 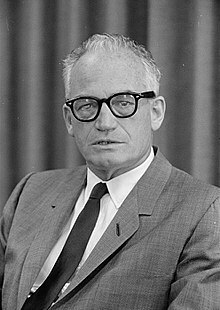 The Republican leadership, like Senator Barry Goldwater got Nixon to put the country first. With the Obama administration, the maintenance of power is supreme. And lastly there is there is I.R.S., which has been politicized like never before. And this is the same organization that will enforce ObamaCare! They used their considerable power to harass, threaten and dissaude several conservative and pro-life groups from being active in the last election. These three scandals have, despite all the political media caterwauling, one thing in common. And that was to give President Obama a second term. All of these crimes and scandals were intimately related to the 2012 election. Holder’s silencing of the opposing media sent a message to journalists—support us or run the risk of feeling our federal bite. The I.R.S. scandal was designed to take out the Tea Party organizations, just as a linebacker might try to cripple the other team’s quarterback, so as to help his team win the game. Many conservatives had wondered during the election where were those patriotic guys who had turned the tides in 2010? The Tea Party was conspicuous in the last election by their lack of visibility. Now we know why–they were fighting the I.R.S. for their political lives. The battle effectively neutralized their participation in the presidential election. And Benghazi–how was that politicized? The late night attacks on the American embassy gave bloody lie that Osama was dead and Al Ouida is on the run! The attack unraveled Obama’s entire Middle Eastern policy. To buy time to salvage the election they contrived the false story of some rouge video, entitled The Innocence of Muslims had incited the attacks. The Obama administration used the video seen and heard around the White House but nowhere else to cover their tracks until after the election. As for the 14-minute video, produced by Nakoula Basseley Nakoula, a Coptic Christian, who admits to his role. The supposed mastermind is quite possibly a fictitious person, named Sam Bacile. Nakoula has wound up in jail without bail, not because of his role in the video but because of some prior charges of bank fraud. The Obama administration lied for two weeks about the video’s importance. 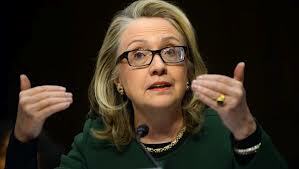 People have blamed her on this Benghazi controversy when like a good nazi she was just following her orders. There you have it–the attacks on the media, Benghazi defense and the I.R.S. assault. A new mentality at the White House? These were well-organized criminal assaults that all conspired to fix an election in the worst sense of the word. And the American people will pay for it for generations. And now that she is bunkered down in the White House, there is little chance that she will tell us just who ordered her to lie to the world. How come many are not surprised by the antics of the #1 Community Organizer in history..and from Chicago to boot, the early capital of America’s organized crime. One need just read Michelle Malkin’s 2009 book, A Culture of Corruption to fathom this idea. A new book on Obama and corruption? By now the adorable petite woman with the excitable personality should have enough material for its sequel…the Chicago Mob in the White House. As for Obama, forget about blaming this on anyone named Bush. It would be wiser to blame it all on Bill Clinton and Monica’s stained blue dress. 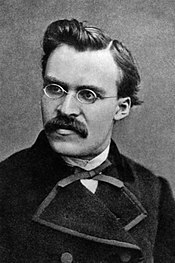 German philosopher Frederick Nietzsche made quite a stir in the late 19th century when he informed the world God is dead! Since then most people have misunderstood what he meant. He wasn’t saying that God had lived and then He died. Nietzsche meant that in his sophisticated world, no one of any education, intelligence or cultural breeding believed in God any more, so He was as good as dead. Belief in God was dead! A rival situation has been taking place since the late 20th century. One of the essential teachings of the Catholic Church is that each individual has been blessed with an immortal soul that was made in the image and likeness of God. America’s cultural elite, the so-called enemies of the cross that St. Paul warned of, have dedicated themselves to the final destruction of all the superstitious remnants of Christian belief. Their new militancy has focused on the human soul as the final battleground. To accomplish their final victory, atheistic scientists had to conjure a way to kill the soul. According to their approach all man’s emotions, feelings, and morality were mere sense impressions, the spontaneous result of biochemical changes. This new strategy first became apparent in 1996 when Forbes Magazine published Thomas Wolfe’s essay, Sorry but your Soul just Died. His article defined the boundaries for the final battle by focusing on brain imaging, the new technology that watches the human brain as it functions in real time. While brain imaging was invented for diagnostics reasons, Wolfe underscored its importance for broaching metaphysical and eschatological issues, such as the complex mysteries of personhood, the self, the soul and free will. 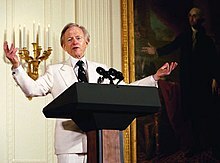 He envisioned that neuroscience would have an enormous impact on how people viewed life, death and other human beings. He predicted that this new science was on the threshold of a unified theory that will have an impact as powerful as that of Darwinism a 100-years ago. 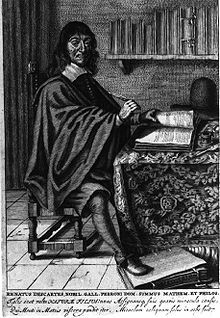 The debate over man’s soul dates back to 17th century French philosophe Rene Descartes’ dictum Cogito ergo Sum. Traditionalists have always regarded his maxim as indicative of man’s dual nature of body and soul. This gave rise to the ghost in the machine fallacy, the notion that there is a spiritual self somewhere inside the brain that directs and interprets its operations. Wolfe’s article challenged this idea, stating that neuroscience proved there is not even any one place in the human brain where consciousness or self-consciousness is located. According to Wolfe science and pharmacology have replaced religious faith by altering the chemistry of the brain, which also dulled the moral sense. Echoing Nietzsche, Wolfe predicted that the next generation would believe the soul, the last refuge of values, is dead because educated people no longer believe it exists. Wolfe believes that the soul for the next generation will occupy the same intellectual realm as witches and warlocks. It is also clear that the death of the soul movement is symptomatic of a larger scheme. Cryogenics or the freezing of the dead so that medical science can later resurrect them is a part of transhumanism, a utopian attempt to establish man’s earthly immortality. It is the futuristic project of Dmitry Itskov, 32, a Russian multimillionaire and former online media magnate. 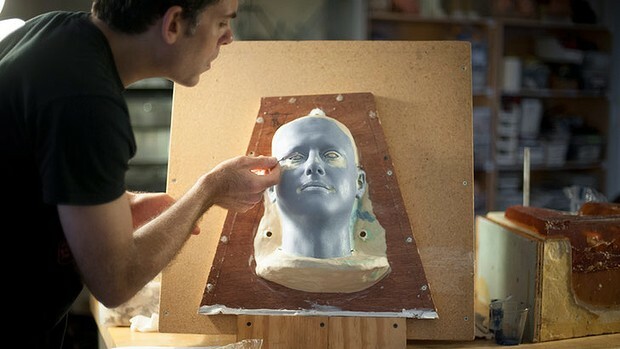 It envisions the mass production of lifelike, low-cost avatars that can be uploaded with the contents of a human brain, complete with all the particulars of consciousness and personality. This way a person’s personality, thoughts and mind can achieve an artificial kind of immortality. This seems very much like a new ghost in the machine to me. To fill the void created by the death of the soul, these modern Doctor Frankensteins have sacralized the earth and make man’s body the object of immortalization. So while they believe man does not have an eternal soul, his body through scientific discovery and manipulation can eventually achieve earthly immortality. This effectively flips Christianity on its head. It is another and maybe more dangerous attempt is to replace an eternal God with an eternal man, which is the fulfillment of the serpent’s promise of ye shall be like gods, in the Garden of Eden. How important is it for us to understand and oppose this new attack? If science can eliminate the immortal soul, then Christ’s death, Resurrection and the entire Catholic faith are all in vain.